The three Flûte pendant lamp by Fontana Arte has three on a gutter fixed lights, with a center distance of 50cm. The manufacturer has once again placed great value on high quality materials. Thus, the individual Borosilicate glass. The reflectors themselves from chrome, shiny aluminum. 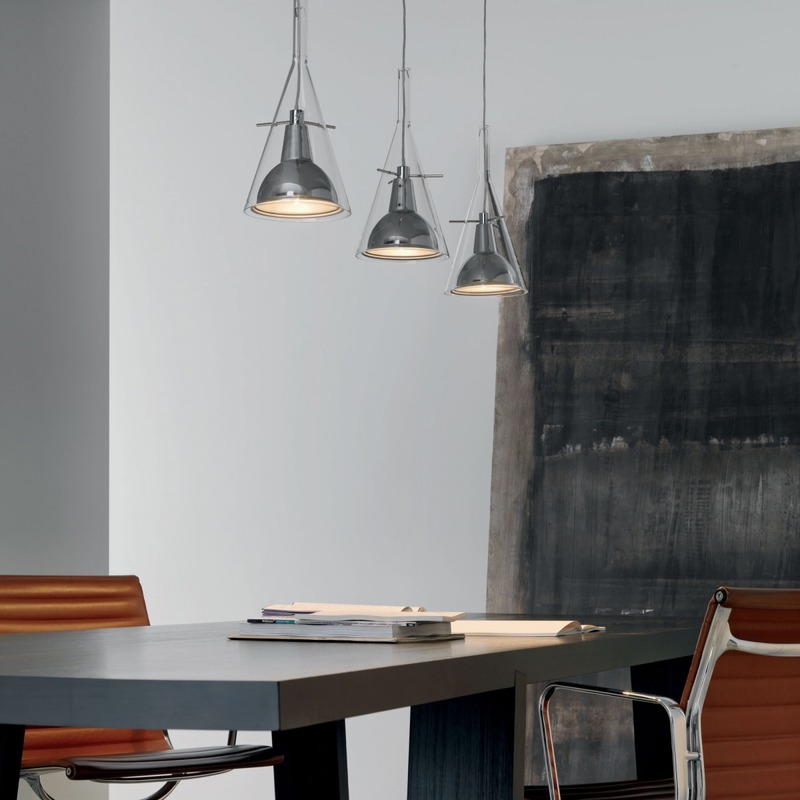 The Flûte 3 gives off a pleasant, downward light that is reflected by the cone-shaped lights.